Aylsham wants to save and transform its Paupers’ Graveyard, where those who died in the town’s workhouse were laid to rest in unmarked graves. The graveyard was in use between 1857 and 1903 and Aylsham resident Diana Duhig has painstakingly recorded details of all 548 people buried there, using workhouse information kept in the Norfolk Record Office. They range in age from one-day-old twins, Florence and Martha Garford, buried in January 1883, to someone in their mid 90s. The land, which backs on to Sapwell Close, belongs to Hopkins Homes, which is developing the site of the former Union Workhouse, which later became St Michael’s Hospital. As the land is consecrated, Hopkins has not built on it and is in the process of transferring it, together with other open space on the site, to Aylsham Town Council, according to council clerk Sue Lake. A recent public meeting in the town decided it would like the brambles and other vegetation cleared and the area fenced, some planting, and a bench put there for people to sit and reflect quietly. Community groups keen to be involved with the project include scouts, Aylsham in Bloom, Aylsham Heritage Centre and Norfolk Wildlife Trust. There would also be an information board explaining the site’s previous use and directing people trying to trace relatives to the heritage centre, in the grounds of Aylsham Parish Church, where the detailed burial records are kept. Mrs Duhig, a volunteer at the heritage centre, said they occasionally had inquiries from people researching their family tree. "It's hard to know if life in the workhouse was miserable," she said. "For some people it was possibly, but for others it was some kind of salvation, especially those who entered towards the end of their lives because there was no-one else to take care of them. It was an opportunity to get into the workhouse hospital and be looked after." ■ An exhibition at the heritage centre, opening on February 15, will tell the history of the workhouse, which opened in 1849. 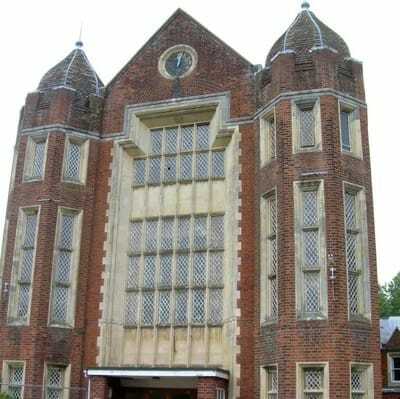 After the abolition of Poor Law Unions in 1929, the building was taken over by Norfolk County Council and became a hospital which closed in May 2012. The land (paupers Grave) is still managed by Hopkins Homes but is in the process of being transferred to Aylsham Town Council along with the other open space areas on this site. The transfer should be agreed by the Town Council at the January meeting for work to then start mid to late February. 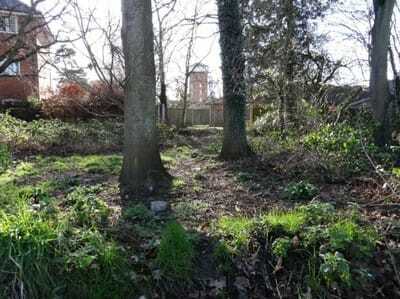 Once the town council have ownership of the site work can then be carried out, starting with the clearing of brambles so that the site may be accessed for a full site survey. At this point a tree survey will be carried out and a survey of the perimeter. Currently Sue Lake is looking at the access to the site; this will need to be agreed in writing first before The Town Council will take on the area. Sue will also look at the planning application put in by Hopkins Homes to see if there were any planning conditions on the site. Help will be needed in all forms from clearing the site, fundraising and technical support. Aylsham in bloom have offered help on the site. John Brown – First Scout Leader has offered help with the initial clearing of the site and disposing of the green waste. Mark Webster – Norfolk Wildlife Trust Mark informed that there is a new project recently set up to help manage and maintain open space areas currently on a weekly basis. The trust is able to help by providing equipment and guidance for the site. They are able to help as soon as we have acquired the site, by helping with an initial site survey for all plants, trees and animals. Local residents have concerns with regards to the boundary from their properties on to the Paupers Grave site this is approx. 36 meters, and would like to look at some form of fencing. – This will be looked at once brambles have been cleared so it is easier to accesses the area. Local residents also have concerns over the misuse of the site. - There will be no time restraints put on the area. If the area is taken on by the council, they will look at having a historical notice board put up on the site, and to help direct people who may have an interest in the area to the Heritage Centre where more information would be available. Paupers’ Graveyard Did you know that there’s a Paupers’ Graveyard behind the old St Michael’s Workhouse? Currently it’s a derelict piece of land which could become a peaceful community garden. If you’re interested, come to a public meeting at 7pm on Monday 21st November in Aylsham Town Hall. Sue Lake, the Town Clerk, will chair the meeting. Half an acre of land was designated in 1849 as a ‘workhouse cemetery’ and was in use until at least 1880 and probably until the Poor Law union was abolished by the act in 1929. There are no visible remains of the graves. There are some trees protected by tree preservation orders but in poor condition. And there are vast quantities of weeds and brambles. The aim of the meeting is for volunteers to begin plan the way forward. It will be necessary to clear weeds and brambles, to preserve the trees appropriately, to create a pleasant environment for both humans and wildlife, and to maintain the site as part of our heritage.